When I say ‘listings’, I am referring to the listings that you are targeting by type and by location. Those are the listings that you can convert for sales and leasing opportunity. Exclusivity will be part of that conversion; not ‘open’ listings. Any listings that you get on an ‘open’ basis are of ‘low grade’ simply because you cannot control them and direct the clients thinking and or negotiation. You cannot build your real estate business just with ‘open’ listings. Learn the ways in which you can resolve that, and start building your market share accordingly from a base of ‘exclusivity’. Existing clients – Your client list will be valuable to you over time if you work it. Get involved in growing your list on a daily basis. Talk to the people regularly in a relevant way; that’s the rule. The people that you know now should be at the centre of your real estate business. New people should be added to the list. Keep talking to them so you can identify the property pressures and challenges that you can help with at the right time. Referrals from successful transactions – A completed transaction with a ‘happy’ client is a referral opportunity in waiting. Are you asking the right questions at the right time? Build more relationships from your good clients and your successful transactions. Property inspections – As you show properties to inquiring parties, ask the questions about their intentions and requirements. One property inspection can lead to many others if you work the situation fully. Property inquiries – When the telephone rings or someone approaches you about a property listing, go ‘deep’ on the property facts and requirements. Look for the main drivers of their property requirement and then ask even more questions. Business telephone books – Pick up the local telephone book and go through it. There are many businesses that you can talk to locally if you dissect the book and the business types. Look for the segments of businesses where you can help. Get to know the leaders of all the larger businesses. Current listings – A controlled listing, or a quality property listed on your books is a real advantage in helping you make more telephone calls into a local area. 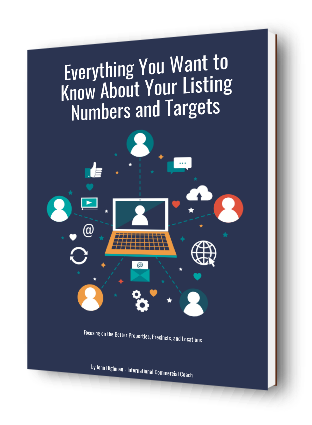 Look at your current listings and then choose the best ones to use in cold calling and prospecting activity. Telephone calls – Use the telephone comprehensively each day by making even more calls to people locally; use your database in the process so you are growing your prospect list. Relevancy is important to the connections that you are making so gather some local property market information that you can use in telephone conversations. Talk about local issues and other properties. Business owners and investors will always have an interest in the local area. Websites and Online strategies – Everyone knows about social media. Whilst some social media strategies are valuable in commercial property, they are not the best way to build a real estate business. Why is that? You are using an online ‘platform’ that others control (e.g. Twitter, Facebook, etc.). 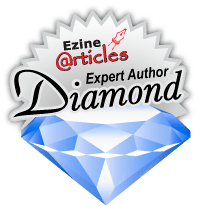 If you really want to control and drive your online profile professionally, the best way to do that is via articles that you write and place on your blog platform. You can then link that activity to your social media. Control the ‘platform’ online for yourself. Write local articles about property activity for the area, the property segments, and the investors. Make that information valuable and ‘content rich’. Signboards on listings and Success letters from transactions – Get plenty of these things into your location. When you have a listing or a successful transaction, tell all the local people about it through directed letters, case studies, and database activity. Show them that you are the property person that has the dominance in the market. Tell the story about the property listing and how you have helped resolve the property challenge. So you can do some good things here to choose the right listing source that works for you. Look at this list and select a few of the strategies that you can work to. Make your real estate career comprehensively successful using the best strategies to suit your business style and your skills.